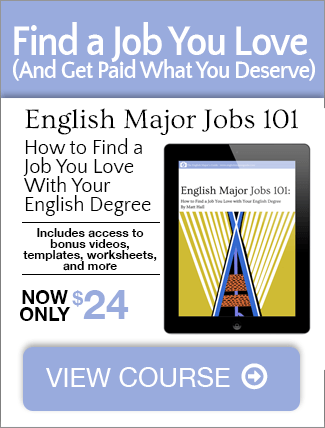 Want to give your career a powerful headstart, overcome procrastination, and impress employers? Then join our challenge. Do you ever feel like you’re always busy, but never quite getting ahead? I feel that way sometimes. Often, I’ll realize I’m working so hard on short-term goals, I’m not making any significant progress on my long term goals. For example, in addition to working a regular 9-5 job, I also write a lot for clients. (Can’t have just one income source in this economy!) And when I’m not writing for clients or my day job, I’m hustling to find more clients so my income doesn’t dry up overnight. However, taking on so much work has a downside. I’m often so busy writing drafts and editing content that I don’t spend time on “growing” my brand. In the short term, I’m making good money. But in the long run, I’m making more work for myself. You might be experiencing the same problem, but in your own way. Maybe you feel it’s enough of a challenge to keep up with your school work. You’re so busy reading, writing, and researching that the thought of doing more work with just long-term benefits doesn’t make sense. Why sabotage the present for long-term benefits that may never materialize? Recently, I’ve decided to undertake a challenge that will give my personal brand a huge boost. Best of all, it only takes about 30 minutes per day doing something I love. Now, I’d like to invite you to join me and build an irresistible online brand. Don’t answer out loud, but have you ever waited until the last minute to complete an assignment? Maybe it was a paper, or a reading assignment, or even a portfolio. A lot of us English majors not only thrive on waiting for the last minute, we rely on those deadlines to manage our time. This makes us very good at cramming a lot of work into a short amount of time – but only if the work we’re doing is due very soon. You see, procrastination isn’t something we do because we something. It’s a psychological way to protect ourselves from having to admit the possibility of failure. If we work on something hard, spending time every day, then if it doesn’t get the reception we want, we feel terrible. But if we wait until the last minute, we can always give ourselves the excuse that we would have done better if we’d only started sooner. It’s a lie. It’s based on fear. We can do better! We’re English majors! We bravely explore uncomfortable, new ideas and empathize with characters we’d rather not meet in person. It’s what we do. Ready to begin? Here’s what we’re going to do. 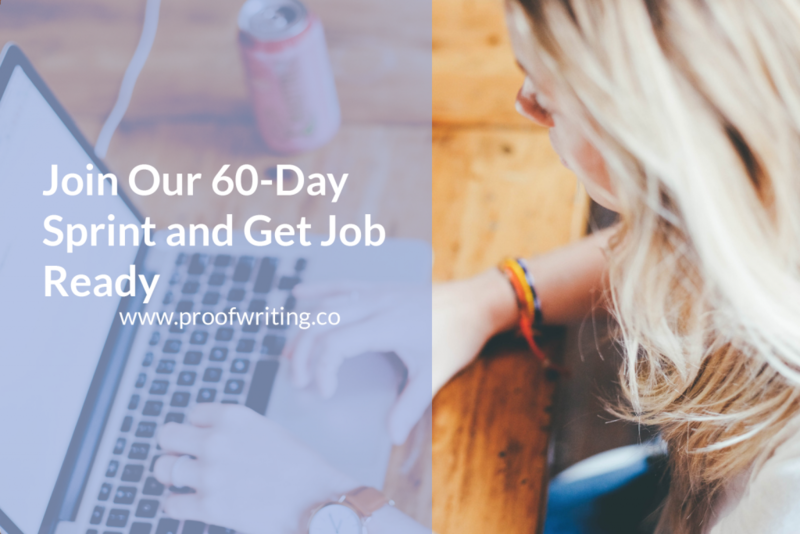 I’d like to formally invite you to join me for a 60-day blogging challenge. Every day (except weekends, if you choose), we’ll publish a blog post of any length. If you’ve got talent – share it! A blog can be a creative way to showcase your work, even for employers. Networking is a big deal when you’re looking for a job. It isn’t something that comes to you overnight. It’s something that you need to build up over time, and blogging can be a great way to get in touch with fellow bloggers and others online – it can be a great starting point for getting yourself out there. Establishing a web presence may not sound that impressive, but think of the billions of people that “log on” each and every day. Even establishing a presence amongst a small fraction of those people can really help you find a community and showcase your work. Blogging is a great way to work with others and develop your voice online. Writing for an online audience is going to be different than writing for your college professors. Developing a strong voice and collaborating with others can help you gain experience and contacts whose scope far outreaches that of your blog. You can participate in discussions, promote your blog, and gain followers. It’s fun to have people following you that care about what you have to say. They’re not your friends and family – they’re not obligated to read along and tell you they love it! By promoting your blog and gaining followers, you can boost your confidence and continue to improve your writing skills. Blogging can be a great way to gather lots of writing that employers can see and use to evaluate you. It can be something you put on your resume if you spend enough time developing and writing on your blog. Employers like to see primarily professional work, but some employers may be more interested in your creative work, and a blog can be a great example of that. Your blog can be about anything, but that advice is frustratingly vague and unhelpful. Here’s what you could do to find a blog topic you actually want to stick with. Make a list of sites you like to read. For example, I really like reading Lifehacker, Business Insider, and technology news sites. Choose a topic and start writing in that format. Do this for 60 days. You’ll get better at this every day, and you’ll begin to see how shipping daily makes you stronger, more confident, and a better writer. I’ll be doing this at one of my sites, Digital Marketing Insider. (I’ll also try to blog at Proofwriting as much as possible.) Feel free to follow along and let me know how I’m doing. You’ll need to start by creating a blog. For professional purposes, I recommend a WordPress blog, Tumblr, or a blog on Medium. Even Blogspot is a great choice (and, rumor has it, is going to get an update in the near future). They’re free and easy to get started. You can even publish on Facebook. Where you write isn’t as important as the fact you’re writing. Here’s a decent list of references that can hopefully help inspire you to get going. The most important thing is to just get going. Don’t wait for permission, don’t wait for tomorrow, just start.